A private workshop for Stella Chocolate, this Sylvanian Families Designer Studio is where she envisions and creates her dress sensations. This is also the perfect place for Stella and her friends to enjoy a lovely tea party. Create your own townscape by incorporating other buildings in the Town Series, such as the Grand Department Store, Delicious Restaurant and Creamy Gelato Shop (each sold separately). Includes: a Designer Studio, chaise lounge sofa, Stella Chocolate (Chocolate Rabbit) in one of her designer dresses, table accessories. Some buildings and accessories not included. 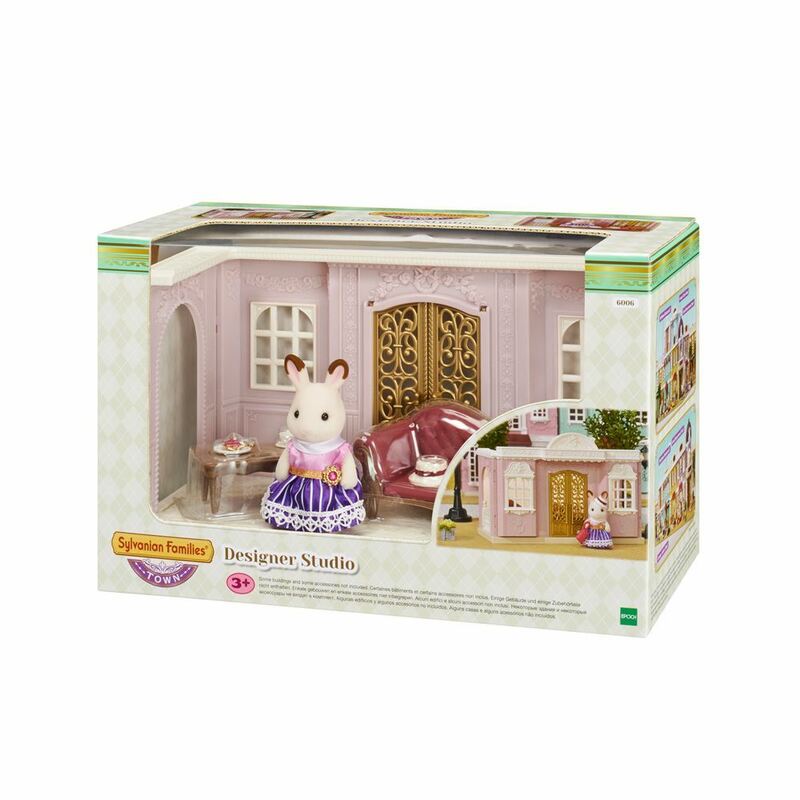 Part of the Sylvanian Families Town Collection. Age 3+ years. Distributed in New Zealand by Holdson.